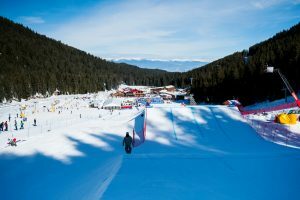 Bansko, Bulgaria – Hagen Kearney, of Telluride, Colo., made the big final at Bulgaria’s first snowboardcross World Cup event on Saturday, finishing sixth overall for the men. Vermont’s Lindsey Jacobellis was the top finisher for the American women, making the small final for an eighth-place finish. The Bulgarian course was an unusual sprint format – only a 20-second run with no turns, instead focusing on big features. Austria’s Alessandro Haemmerle won for the men, Pierre Vaultier of France was second and Baptiste Brochu of Canada was third. Haemmerle, still pumped by his win in Solitude two weeks ago, managed to bring the nose of his board to the front, winning a photo finish decision against the 2014 Olympic champion Vaultier, who had posted the second best qualifying time last Thursday. Thanks to his second consecutive win, Haemmerle took the World Cup lead from Italy’s Omar Visintin, who finished fifth. Kearney is in the midst of a breakout season, which includes his first career World Cup win at Montafon on December 16. He qualified first in Bansko, but wasn’t able to battle his way through the talented field in the big final. Still, his sixth-place finish is his third top-10 result this season (he was ninth at the Solitude Toyota U.S. Grand Prix). Belle Brockhoff of Australia won for the ladies, Eva Samkova of the Czech Republic was second and France’s Chloe Trespeuch was third. 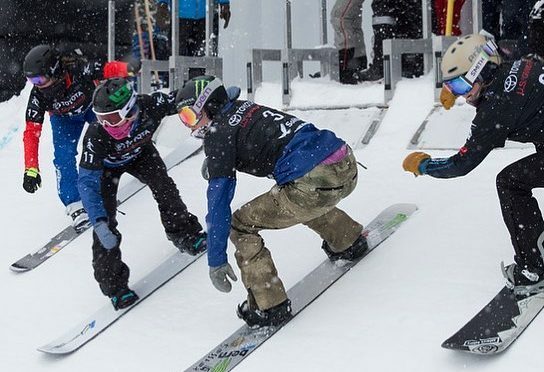 Brockhoff, who had won the hole shot in all of her heats staged at the foot of the Pirin Mountains and in front of some 5,000 thousands noisy spectators, crossed the finish line with a comfortable lead over the Olympic champion Samkova, who was also the top qualifier. In so doing, Brockhoff took the World Cup lead with 2,400 points from Samkova (2,250). Jacobellis was joined in the small final by U.S. Snowboarding teammate Faye Gulini of Salt Lake City, who finished 11th. 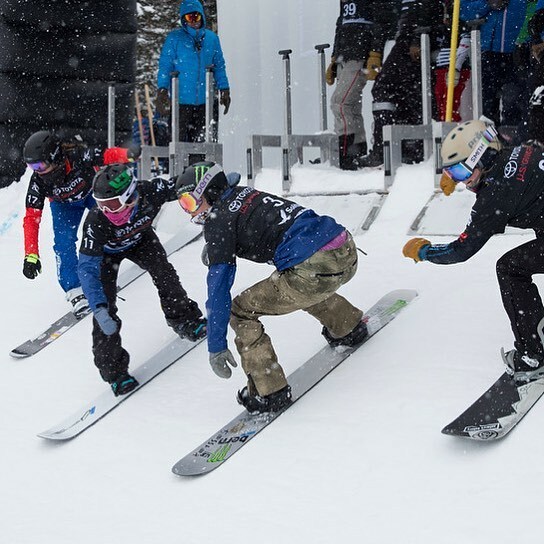 The FIS snowboardcross World Cup tour continues this week with a double individual race scheduled in Feldberg, Germany Feb. 10-12.